The Garden of Live Flowers: June: Boojum! 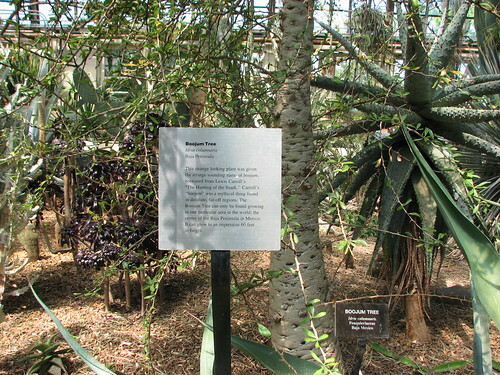 And thus I have a special fondness for the Boojum Tree at the Desert House of the Garfield Park Conservatory in Chicago. It's a crazy-looking tree endemic to the Baja Peninsula and state of Sonora in Mexico. 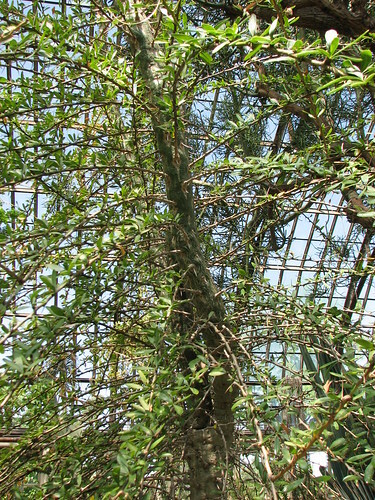 Fouquieria (or Idria) columnaris is related to the ocotillo, a spiny plant familiar to anyone who has spent time in Arizona. I wouldn't say the Boojum is attractive, exactly, but it's rare and interesting and dangerous-looking and through the magic of conservatories it's growing right here in Chicago. What does our intrepid hero, the Baker, have to say about it? Luckily for us, this Boojum is entirely non-lethal and does not cause involuntary vanishification. I had no idea about the little girls thing. Tell, me did reading about Boojums make you want to grow one? I've wanted a Baobab tree ever since I read The Little Prince by Antoine de Saint-Exupéry. It was more of a Michael Jackson-style inappropriateness, a grown man who spends way too much time with other people's children but without any evidence of actual misbehavior. I'd love a Boojum of my own - and heck, a baobab would be nice, too!